Apple makes some really great software and hardware. We love it. But sometimes there are certain little things you want out of your computer that Apple can’t or won’t provide. That’s why we have jailbreaking and modding. We love it when someone takes an Apple product and morphs it into something completely different. There have been a lot of Apple hardware mods that have crossed our desks over the last few years. Some have been simple, while others have required over a hundred hours of work. Here are the five greatest Apple hardware mods we’ve ever seen. The Apple IIc was one of Apple’s best all-in-one PCs. The screen was tiny, but the design of Apple IIc was clean and futuristic. 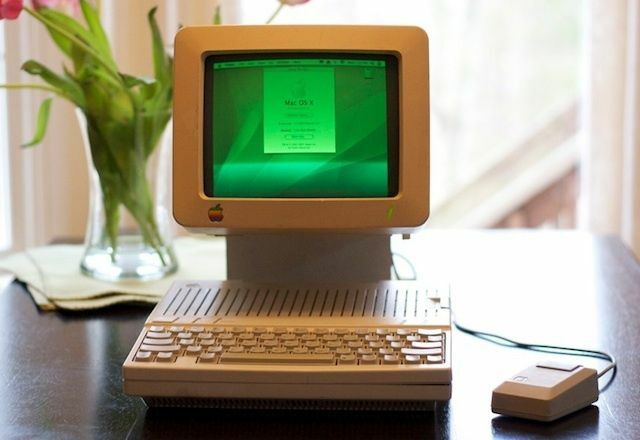 Charles Mangin took the Apple IIc to another level by cramming a G4 Mac Mini inside and hacking the original hardware and peripherals to work with it. Everything on Charles’ Apple IIc works. He rewired the original keyboard through an Ardunio so it could be used with a USB keyboard for the mini. He added optical guts to the mouse and wired it to the original 9-pin connector. Some of the original ports were even repurposed into USB ports. Charles even went so far as to add a DVD drive to the computer right were the floppy disk slot was. The amount of time, detail, and ingenuity put into the Apple IIc Frankenmac project makes it our favorite Apple hardware mod of all time. Introducing the pinnacle of nonsensical computing: The MacBook Portable. 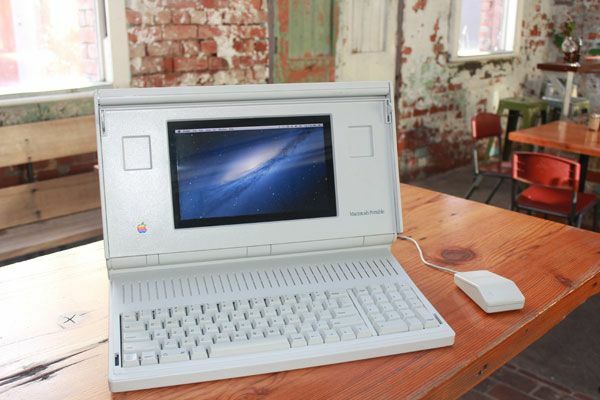 Patrick Blampied wanted to create the ultimate hipster computer by taking one of Apple’s older and less popular machines, the Macintosh Portable, and transforming it into something that can be used today. For his project, Patrick rewired the keyboard and mouse, much like Charles Mangin’s project, but he also added speakers to the system so you can blast some Justin Bieber when you’re feeling lonely. Rather than cramming a Mac Mini inside the Macintosh Portable, Partrick used a Toshiba NB100 netbook that he turned into a Hackintosh to run OS X. You can also run a System 7 simulation on the Macintosh Portable just in case you want to feel like you were one of the Apple faithful who plopped down $6,500 for the original back in 1989. 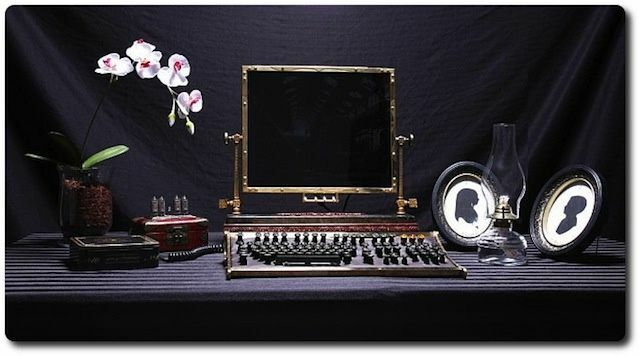 Fans of steampunk would kill to get Dave Veloz’s steampunk Mac Mini setup that he created for his wife as a wedding present. To start, Dave took apart an old IBM keyboard and created a new cradled base for it made out of brass and leather. For the monitor he used a granite base with brass finishings on the exterior. The innards of the Mac Mini itself actually weren’t changed at all, but it looks as though they’ve been crammed inside some old-timey tin. 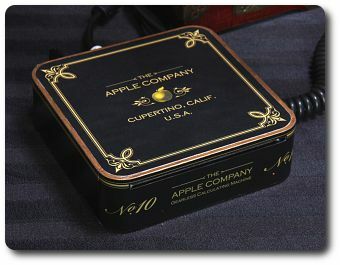 Dave actually created his own stickers that cover the outside of the Mac Mini’s casing to make it look Victorian. Everything except the mouse was converted to have a steampunk look. The machine made its debut at Dave’s wedding where it displayed a slide show of the couple’s engagement photos. Who said tech couldn’t be romantic? Here’s an Apple Hardware mod almost anyone could do. Site Hirac was the first to introduce us to the touchscreen Macintosh Classic. Hirac basically just took an old Macintosh Classic, pulled the guts out, and cut a hole in the side for the iPad to slide into. You can pick up your own Macintosh Classic for about $35 on eBay and perform the mod yourself if you want. The project only took Hirac a few hours, but he said the fit for the iPad is a little painful as the home button isn’t easily accessible. 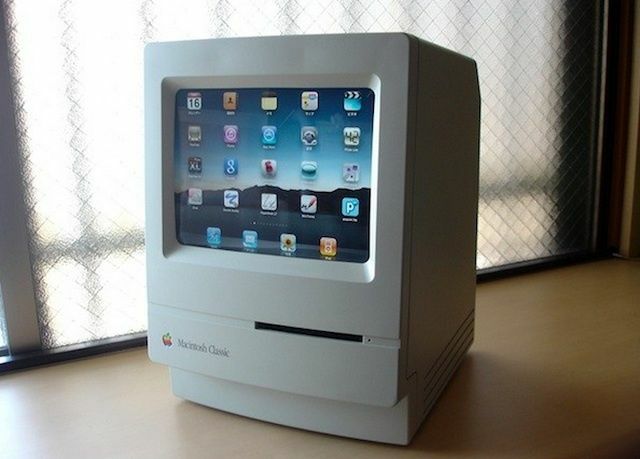 The iPad’s screen is the perfect replacement for the Macintosh Classic’s old CRT display. You can use it as a stand to display pictures in your house, or pair a Bluetooth keyboard to the iPad and get some work done. It’s a simple and elegant solution, and we’d love to see people try some similar things with the iPad mini. So you’ve got a 1942 Philco radio sitting in your living room taking up space. What do you do to it? 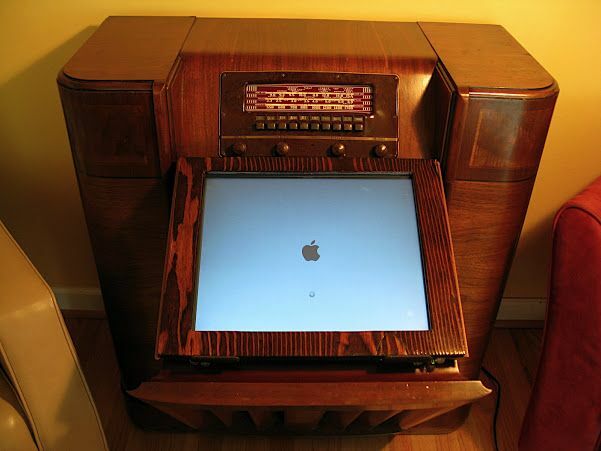 Put a Mac mini inside, connect it to a touchscreen and create the ultimate retro entertainment system. That’s exactly what Sandy Winkelman decided to do. The entire setup can be controlled with an iPod Touch from the comfort of a couch. Because the Philco radio doesn’t have a slot for a monitor, Sandy had to build his own display mount and bezel for the touchscreen. He used wood that blends right in with the vintage radio so it looks like it’s part of the original system. All you have to do is open the front console to fold out the 17-inch Sony touchscreen display that is connected to Mac mini. The entire setup can be controlled with an iPod Touch from the comfort of a couch. Sandy mostly uses the Philco radio as a media center that can play music through the new 2.1 speaker system he mounted inside the radio, but it can also be used for work if you’re into that sort of thing.